even hunt with, make the owners feel empowered, proud and important. Nothing's wrong with that! How could the terror be stopped by "assault" rifles and high capacity magazines ban? It can't be. Any ban is a political game offering a false and misguiding solution. In fact, it's all about dealing with consequences instead of addressing the fundamental problem of improving education, mental health, influence people's minds and habits, encouraging responsible behavior and proper handling of firearms, limiting young people access to propaganda of violence, etc. Really, what's the difference between using 1 x 30 capacity magazine and 3 x 10 capacity magazines? A few seconds to reload? There are semi-auto rifles without a pistol grip that would reload and shoot at the same speed. So, why the pistol grip all of a sudden becomes a reason for violence? Would that be possible to stop the terror by banning pressure cookers, or ammonia nitrate fertilizers? How about cars killing people? Would it be a solution to ban certain cars like SUVs, or even busses, which are "high capacity" vehicles, in order to limit casualties? As a matter of fact, we can't ban vehicles just because of someone getting drunk behind the wheel. How to keep people from drinking and driving under the influence is probably the most important question to answer. Why is the word "assault" used in reference to rifles? Anybody can assault anybody with anything. A wife could assault her drunk husband with a hot iron, right? Should the iron be banned too? When the liquor was banned, Al Capone became a millionaire. Now we witness the AK and AR prices sky-rocketing, the high capacity magazines, as well as .223 and 5.56 ammunition, are hard to find and their prices keep rising. The deficit created a crowd of speculators going after a quick buck and causing ammunition rationing. No more bans, please! bullets weighting 62 grain and more. AK-12, now with Picatinny rails, will be available in various calibers, such as 5.45 x 39 (Russian), 5.56 x 45 (NATO), 7.62 x 39 (Russian), 7.62 x 45 (NATO). According to IZHMASH, the testing and development should be completed in 2013, then the new machinegun would undergo field evaluation with the SPETZNAZ special forces before it will go into serial production. It is unclear when, or if, it would be made available for retail customers and in which configuration. Unlikely in 2014 or even 2015 depending on test results. AK-47 was designed for warfare and not for hunters. It is precise and effective for relatively close range encounter with a hostile force. The troops are trained to shoot two, or maximum three rounds by one trigger pull. The trend is to save the ammo while hitting the target, as well as to improve accuracy if used as a sniper or tactical rifle. Recent modifications provide for scope mounts, as well as various tactical accessories. All comparisons posted on the Internet are inaccurate, as they compare oranges to apples. 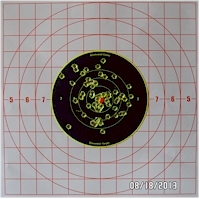 For one, the calibers are different, and the shooters are different, and so are the targets and the shooting objectives. Wobbling? All barrels wobble, for a single shot, double or triple sequence it wouldn't matter. Otherwise, it does matter, but why someone would waste bullets? AR-type was designed for warfare, as well. It is also precise and effective for close range encounter with a hostile force and if properly equipped, can handle the sniper and the night time tasks. 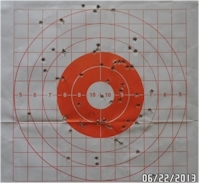 Unlike AK-47, the rifle is more accurate when shooting multiple rounds, most hitting the target. It is debatable whether it make sense to waste more rounds of ammo, when the job could be done with just two, or three shots. Free-floating barrel is what makes AR more accurate/predictable for a sequence in excess of three shots. The only available ammunition in the today's retail market is FMJ and JHP. As the rifle gains popularity, not only that the U.S. ammo manufacturers would replicate the Russian 7.62 x 39, 123 gr, but come up with broader non-military application choices for this rifle. It's just a matter of time. Those, who own AR15/M4/M16 may have more fun by utilizing a wide array of available ammunition compared to AK-47. The variety of AR15 is amazing. 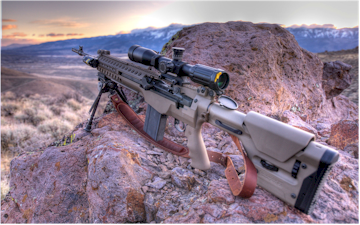 As this type of rifle quickly becomes more popular, the ammo is designed for hunting (white tail deer, wild boar, various varmints), home defense (probably for some suburban areas of drug cartel operations), SAP (small armor penetration), tracers, frangible, lead and no-lead, etc. AK-47 is known to be the most reliable and easy to use rifle. "No need to worry" concept was well incorporated in this machine gun design. Under any adverse condition it would shoot anyway. 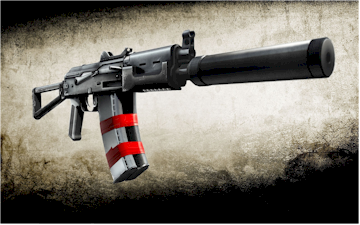 AK-47 and AK-74 may later give way to a new AK-12, which is designed to be relied on under any battlefield circumstances and has rails to mount scope and other tactical gear. Read more here. With gas piston replacing gas tube, AR is getting closer to AK as illustrated in the videos (see above). German-speaking nations are known to be precise, consistent and effective. Just enough to mention Glock (Austria), Walther, Heckler & Koch (Germany) and now Sig Sauer (Swiss). Those, who pay attention to technological advances, might have noticed the progress made by their designers and engineers, not to mention a superior quality of materials used to manufacture firearms. If not for the above Sig Sauer 516 Patrol rifle advances, one would question whether he/she could fully rely on their AR-type rifle under adverse conditions, according to the tests conducted for reliability evaluation purposes (see above). AK-47 can be broken apart for cleaning and put back together again in a matter of seconds. Everything is so simple, any fool can do it. A child can do it. If you miss one or two cleanings, no big deal, it would still shoot fine. No need to reference the manual, ever! The simplicity of AK-47 is unsurpassed. It can be assembled/disassembled and lubed in seconds with eyes closed unlike its counterpart. Assembly/disassembly, cleaning and lubrication is a nightmare! "How to" may be confusing even for mechanics and engineers. Yet after a while they may forget how to do that and may have to read the manual again. If anything at all fails, it would mean that miss Fortune might have turned her back on the owner. If she does, you may have to replace the whole rifle. The longevity of AK-47 is unsurpassed either. As to tactical and hunting accessories, installation of a Picatinny rail is what helps expand the options, i.e. mounting a scope, high intensity flash light, red and green lasers, night vision, etc. For AK-47 it is a challenging task unlike for AR15/M4 due to their design concepts. A whole bunch of parts and accessories is available for AR. Its modular construction allows to easily repair/replace any component that failed. No need to replace the whole rifle. Copyright © 2013 Eutex Enterprises Inc.